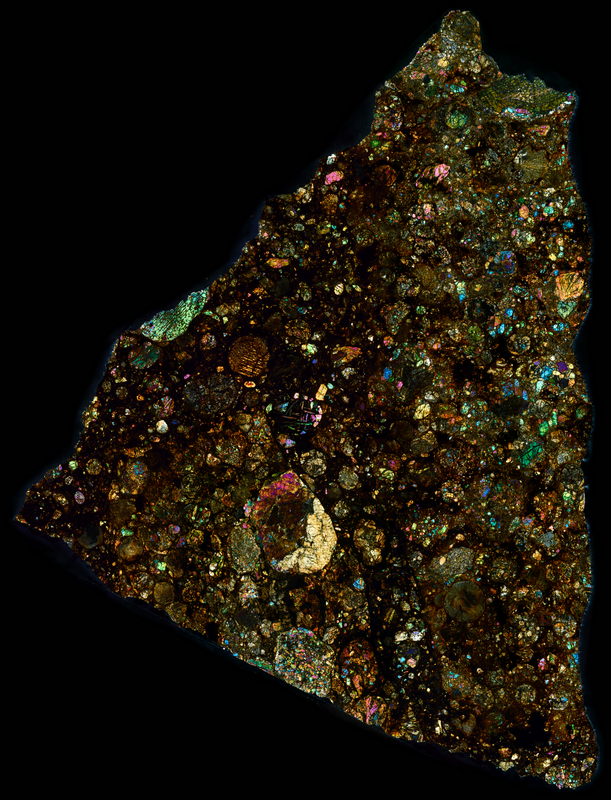 This thin section of NWA 10214, viewed in cross polarized light, was created from the fragment pictured below — Side B. The idea was to get a piece which contained at least two distinct types of matrix. The NWA 10214 meteorite contains multiple lithologies and it is unclear which chondritic classes are contained in this particular fragment. For further information please read the Meteorite Times’ excellent article on NWA 10214.